Dimensions 1 by 6.50 by 6 in. Novelists, English; 19th century; Biography. Short and oddly built, with a head too big for his body, extremely near-sighted, unable to stay still, dressed in colorful clothes Wilkie Collins looked distinctly strange. But he was nonetheless a charmer, befriended by the great, loved by children, irresistibly attractive to women, and avidly read by generations of readers. Peter Ackroyd follows his hero, the sweetest-tempered of all the Victorian novelists, from his childhood as the son of a well-known artist to his struggling beginnings as a writer, his years of fame, and his lifelong friendship with the other great London chronicler, Charles Dickens. In addition to his enduring masterpieces, "The Moonstone" often called the first true detective novel and the sensational "The Woman in White," Collins produced an intriguing array of lesser-known works. 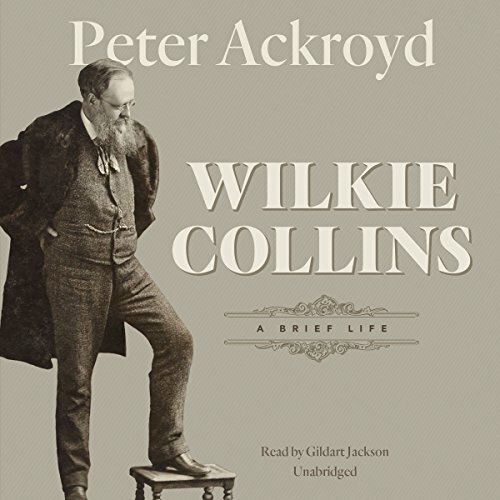 Told with Ackroyd s inimitable verve, this is a ravishingly entertaining life of a great storyteller, full of surprises, rich in humor and sympathetic understanding."